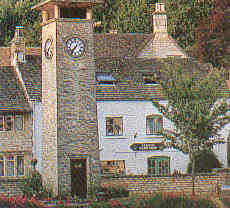 Nailsworth is a thriving little town with a wide variety of shops and places of interest. It is just off the A46 giving easy access to visit the southern Cotswolds and towns of interest such as Bath, Bristol to the south, Cheltenham, Gloucester to the north, with Cirencester to the east and Wales to the west. There is a wide choice of hotel and bed & breakfast accommodation, excellent restaurants and traditional pubs with a variety of nearby sightseeing attractions to suit all tastes. Nailsworth was selected by The Sunday Times newspaper (March 2014) as one of the best places to live in Britain . 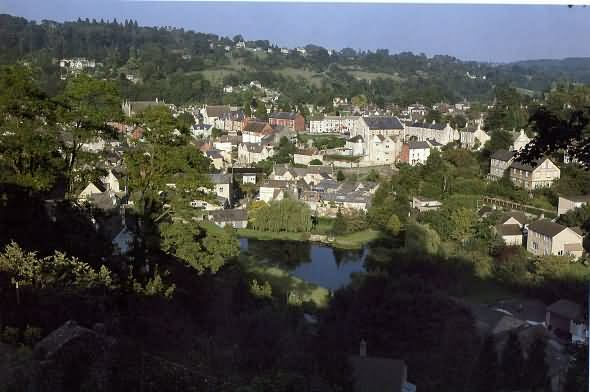 The centre of Nailsworth, 4 miles to the south of Stroud, stands at the union of two valleys. Like its nearby neighbour Stroud, many mills were built and used during the successful wool and cloth trade, but they have now been converted to new uses such as restaurants and hotels, like Egypt Mill, and arts and crafts. Over the last 5 years the town of Nailsworth has been noticeably going up in the world with ever fancier restaurants and shops attracting more visitors to the town. William's Fish Market and Foodhall with Oyster bar to name but one. Nailsworth is notable for its free car parking. Nailsworth is a small and very welcoming town once noted for its involvement in the Cotswolds wool trade, but is now a happy and friendly centre for a wide variety of local interests. It lies in a wooded valley on the A46, just over 20 miles north of Bath and 18 miles south of Cheltenham and is said to have the largest number of working water wheels per square mile in the country. Nearby are Badminton and Gatcombe Park, both world famous for their horse trials, and High Grove, the home of Prince Charles, is a few miles away near the historic town of Tetbury. Local amenities include riding, golf at Minchinhampton, tennis, fishing and even gliding at the Cotswold Gliding Club at Aston Down. There are many fine walks in the area and the Cotswold Way, one of the best walks in England, covers 105 miles of the most beautiful scenery in the country. Westonbirt Arboretum is close by and apart from its many beautiful walks through 600 acres of wonderful countryside, with no less than 18,000 specimen trees and magnificent displays of rhododendrons, azaleas and magnolias, it hosts a variety of concerts, festivals, plays and other entertainment. Nailsworth boasts a few good quality restaurants and in the immediate area there are many pubs and inns of great character, some with well established restaurants but all providing good pub food. Local shopping ranges from a famous, first class delicatessen with fabulous fish counter, to antique and craft shops, a modern art gallery and a pottery and many small individual and specialist shops with a wide variety of goods. Ruskin Mill - Arts and Crafts centre where local specialists also train young people from all parts of the Country. Woodchester Mansion - An unfinished Gothic masterpiece, abandoned in 1868 after 16 years of building. Carefully preserved - but will never be finished. Tours arranged by the Mansion Trust. The park has lovely woodland walks, lakes and ponds. Nailsworth Ladder - An exceptionally steep rough road out of the town to Minchinhampton Common. Owlpen Manor - Very beautiful Tudor manor with church, barn and mill. Terraced gardens in wonderful wooded position. Coaley Peak Picnic Site - Includes the Frocester Hill viewpoint and the Nympsfield long barrow. Coaley Peak Picnic Site is about 4 miles south west of Stroud and has 12 acres of grassland with panoramic views over the Severn Vale. On a clear day you can see over the River Severn with a backdrop of the Forest of Dean and the Welsh hills beyond. It is a good spot to have a picnic or take a leisurely stroll through the adjacent Woodland Trust escarpment edge beech wood. There is designated parking for people with disabilities and the picnic tables include one suitable for wheelchair users. Location just off B4066 twixt Stroud and Uley. Frocester Tithe Barn - 16th century tithe barn and also gate and court houses from same period. Located 2 miles South West of Stonehouse. Post Code - GL10 3TN . One of the most important barns in England & best preserved. Late 13th century tithe barn, 186 ft x 30 ft with 13 bays & 2 projecting porches. Roof timbers date from 1525. You can also view the exterior of the nearby 16th century gatehouse & courthouse. Tel. 01453 823250. Open all year, daily, at reasonable daylight hours. Minchinhampton and Rodborough Commons - extensive open Common land, the second largest in the Cotswolds, lies around the attractive village of Minchinhampton with its typical cottages and 17th century wool market house supported on stone pillars. Uley Long Barrow (Hetty Pegler's Tump) - English Heritage site of superb chambered long barrow. A partly reconstructed Neolithic chambered mound, 37 metres (120 ft) long, atmospherically sited overlooking the Severn Valley. 'Hetty Pegler' was its 17th century landowner. Located 3.5 miles North East of Dursley, on B4066. OPENING TIMES - Any reasonable time in daylight hours. The Bulwarks - The Minchinhampton Bulwarks is a large defensive earthworks stretching across the common for nearly a mile and was probably a settlement for the Belgic Dobunni tribe. There are various round and long barrows and the odd standing stones. Westonbirt Arboretum - England's National Arboretum. Westonbirt attracts over 350,000 visits per year and is known worldwide for its spectacular autumn colour and the spring rhododendron, azaelea and magnolia displays. The arboretum is popular for groups, individuals and educational visits. Address: Westonbirt, The National Arboretum, Nr Tetbury, Gloucestershire, GL8 8QS.